If you are one of the nearly 18 million people affected by ugly and sometimes painful keloid scars, you know first-hand just how embarrassing they can be. We have good news for you. You can regain your confidence with SRT therapy, a non-surgical option for treating keloid scars after surgical removal. A keloid scar is the result of a wound to the skin — whether that is through surgery or injury. As the wound heals, fibrous tissue called scar tissue forms. In some cases, excessive scar tissue can grow forming a smooth, hard surface over the incision or injury. This growth is called a keloid and is often much larger than the original wound. Keloid scars are chronic, non-malignant tumors that often appear following surgery, but may also be triggered by other skin traumas, such as acne and chickenpox, ear piercing, burns and other skin injuries. Some people are genetically prone to keloids, including African Americans, Latinos and Asians. How Can a Keloid Scar Be Treated? Keloid scar treatment is possible with Superficial Radiotherapy (SRT therapy), an FDA approved treatment for keloid scars following surgical removal. The SRT-100™ is a highly effective treatment that prevents the recurrence of keloid scars and has cure rate of more than 90 percent. Prior to SRT therapy, treatment for keloid scars was limited to surgical removal, but in many cases, keloids grew back at the new incision site. 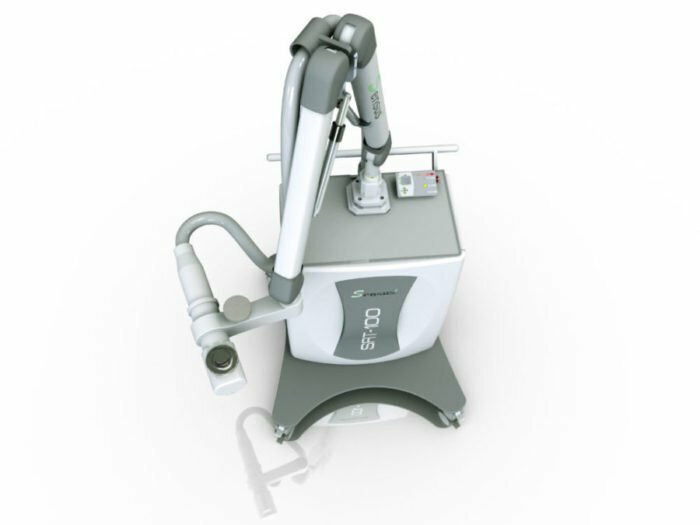 The SRT-100™ delivers a precise, calibrated dose of Superficial Radiotherapy, safely destroying the cells that form keloids, keeping the skin smooth as the incision heals. This non-invasive, painless keloid treatment is performed right in your doctor’s office. Patients may require a series of treatments, depending on the incision site. If you’re living with a keloid scar that affects your confidence and self-esteem, talk to your doctor or contact Sensus Healthcare today about treatment and removal with the SRT-100™.